Freaky labeling deserves a freaky photo. There are Belgian-style beers. There are IPAs. And then there’s Belgian-style IPA. Could it get any more complicated? The answer is yes, it can get really complicated! And if you don’t believe me, the Brewers Association has published a 34 page guide that will tell you how complicated it really is. Appearance: Clear copper color. Fluffy, half-inch head that dissipates slowly. Moderate lacing. Lots of crystal clear bubbles that float rapidly to the surface. Aroma: Orange zest. Clove. Dried apricots. Floral hops. In a nutshell, it smells like a Belgian white had a head on collision with an American IPA. Taste: Very well carbonated. Spices that tingle your palate. Citrus flavors towards the middle. Robust hop finish which is pleasantly bitter. This is not a subtle beer and I really like it. It pours beautifully, smells fantastic, and has a really aggressive palate. If you like a beer that’s loaded with spices and hops, then this might be the one for you. Although it’s 8.3% ABV is well hidden, this is definitely NOT a session beer. Drinking more than two of these would be dangerous. Proceed with caution. American “Belgian style IPAs” are he craft beer version of the Reese’s Cup. Some otherwise competent brewer preparing to pitch the yeast into a fermenter filled with IPA wort only to discover that he’d failed to read the label on the yeast and mistakenly used a Belgian strain……. Thank the craft beer gods for that F up. American “Belgian IPAs” are a wonderful one-off style. 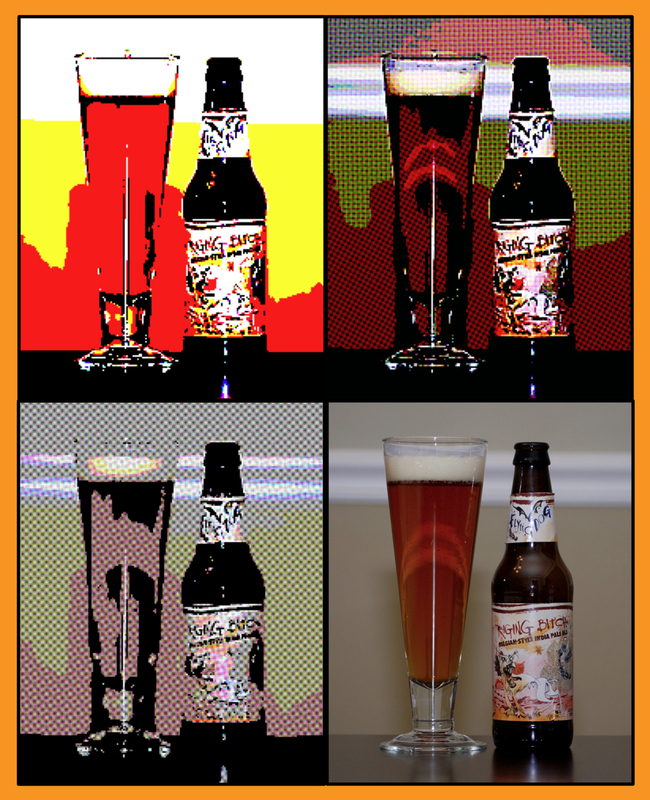 Some of my favorites are Green Flash Le Freak & Stone Cali-Belgique. Locally, Iron Hill Brewpubs turn out a nice one called Caprice. Oh, and back to the Reese’s analogy: we all know that that the dimwit who mistakenly filled the chocolate cups with sugary peanut butter was supposed to fill it with nougat. Thanks for listing other examples if Belgian IPA’s. I was starting to wonder what on EARTH it could taste like. This gives me a good frame of reference. How does something like this compare to Duvel Tripel Hop? Same ballpark? Not even close? Good question Miracle Max! Haven’t had the Duvel version. Had the regular Duvel awhile back,and it is excellent. Stop by, we”ll drink a bottle, then tell me. Absolutely loved this beer. Spot on review! Can’t wait to get more of this.